Grab a prop and strike a pose! Post your selfies on Instagram and other social media! The backdrops are printed using the latest high quality digital print process. They are printed on special non-glare vinyl . This material is a special, smooth scrim vinyl that produces photo-like results. 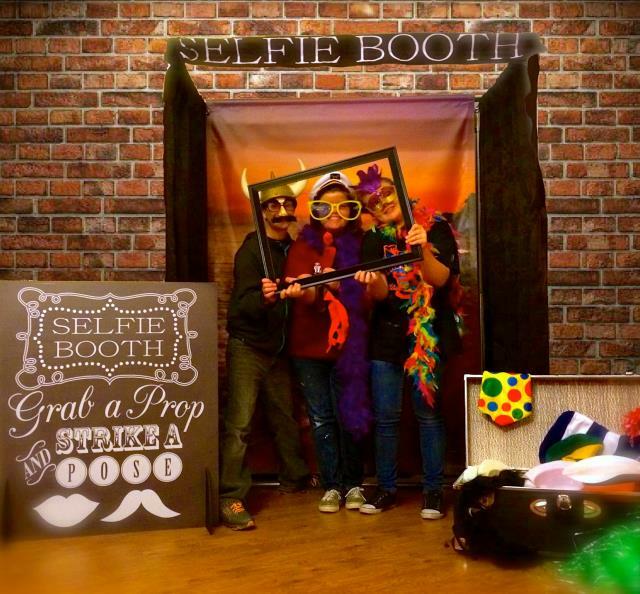 * Please call us for any questions on our game selfie booth rentals in Cleveland, Chardon OH, Mentor OH, Chagrin Falls OH, Ashtabula Ohio and surrounding communities.